Sampling Systems are the worlds largest manufacturer and supplier of sampling equipment. 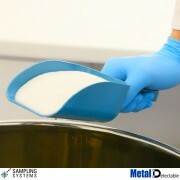 We specialize in the supply of disposable and reusable samplers. We also have a massive range of associated equipment. We have over 1 million items in stock. 95% of our range is available for immediate shipping and fast delivery worldwide. For the last 25 years we have been working with the largest pharmaceutical, chemical and food companies in the world and have developed a diverse range of products that will meet most applications. The result is that we have an unrivalled range of sampling devices to suit most types of products (powders, granules, grains, liquids, gels, creams, ointments, pastes etc.). 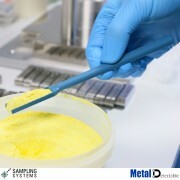 Our design and manufacturing service enables us to supply high quality custom built samplers for special applications. This ensures that you use the right tool for the job. Sampling Systems is an ISO 9001 registered company. If you require any help please contact our friendly sales staff.